I've been slowly working on some new decor for my bedroom and wanted something a little more personal to add to the wall. After spending some time shopping at Poppy Seed Projects, I had an idea come to mind and had to run with it. 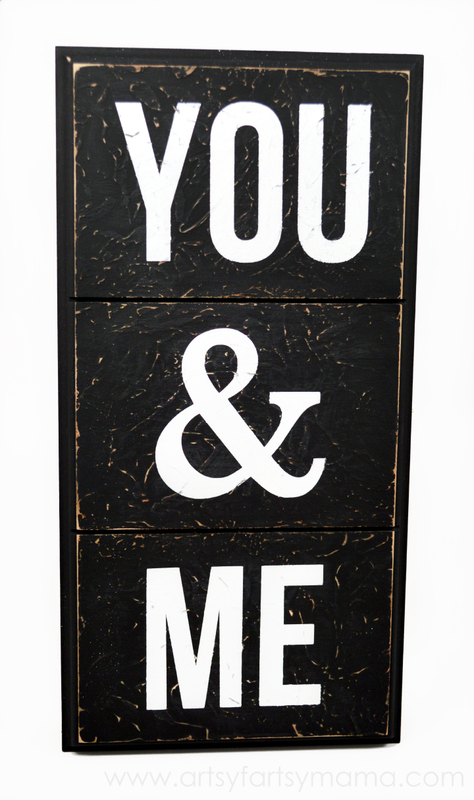 This You & Me Sign looks so great hanging on my wall and I absolutely love it! It was so easy to make, and I'm excited to share this tutorial with you today to hopefully inspire you to create something personal for your home, too!! With a sponge brush or rag, dab on some texturizing cream. Whatever pattern you have is what will show through when you sand your project (you'll see what I mean when I get to the end of the project). Let dry completely. The cream dries clear, so you'll know it's dry when you don't see any white. If you're like me and do some of your crafting on the couch, a cardboard box (like the waffle box you can see above) makes a great painting space!! 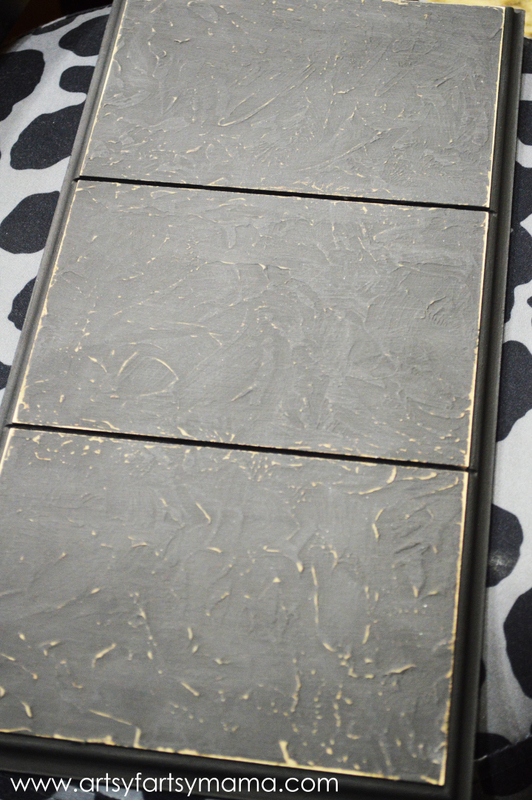 After the texturizing cream is dry, paint on a thin coat (or two) of the Dark Chocolate Americana paint. Let dry completely. It's okay if it's not perfect! This is the color that will show through when you sand later. 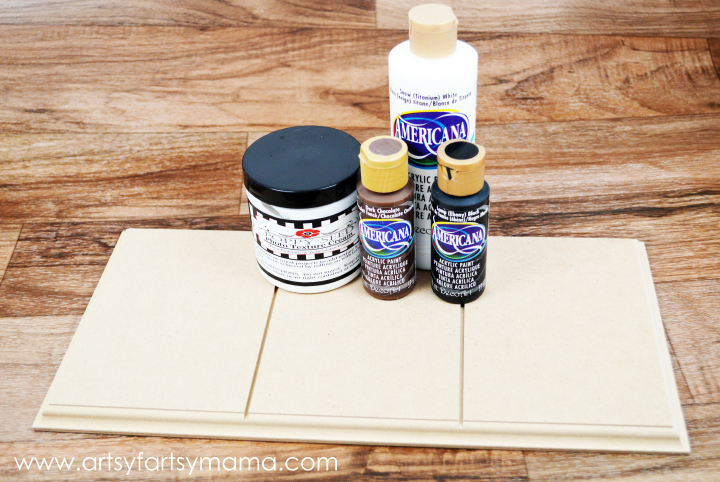 Paint the board with the Black Americana paint. I painted about three coats. 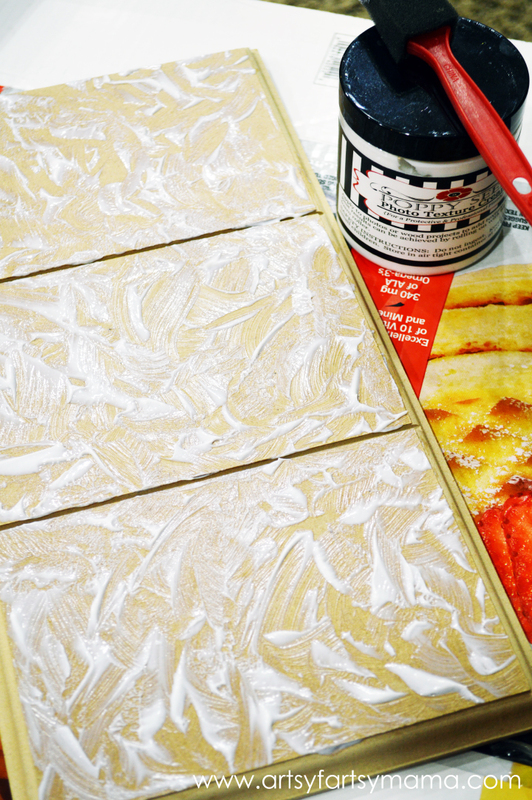 Be sure to let each coat dry COMPLETELY before you add another coat. 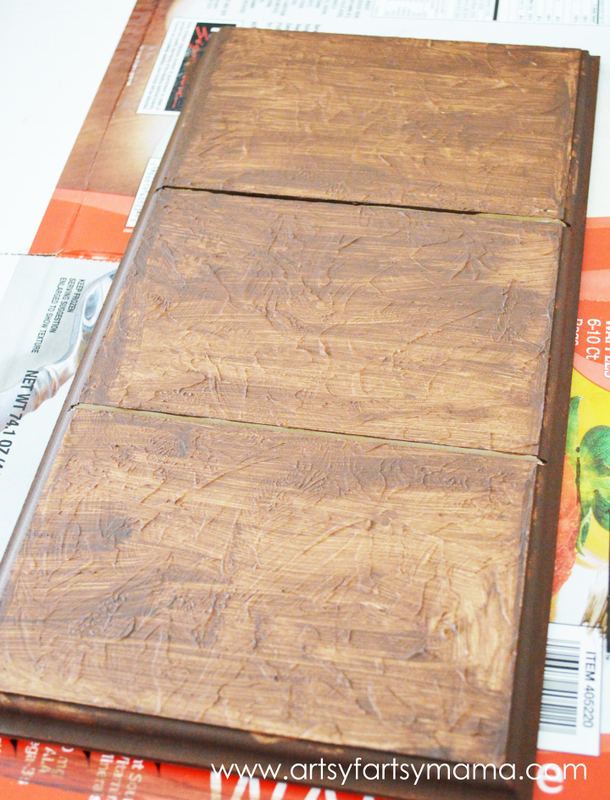 Once the last coat is dry, lightly sand the board (especially the edges) with sandpaper. This will start to bring out the brown color underneath and will bring out the texture from the texturizing cream. I love how easy it is to make a board look worn! 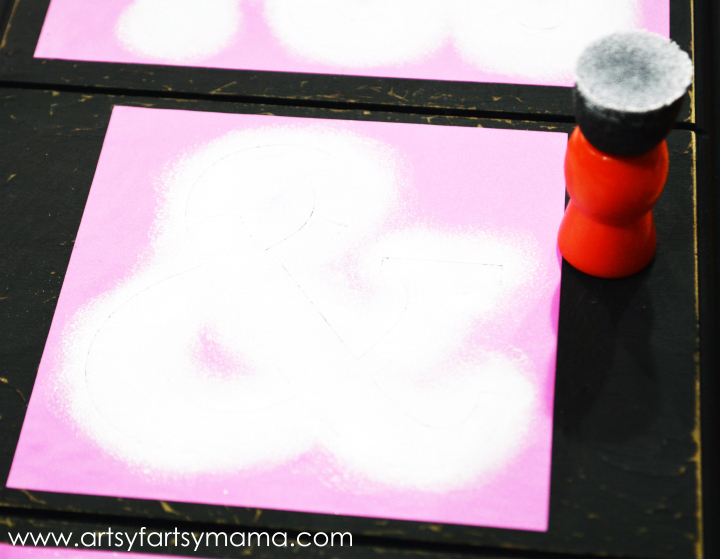 When you're done sanding, wipe off the board with a tissue or damp cloth. With my Silhouette, I cut out the "You & Me" in vinyl. 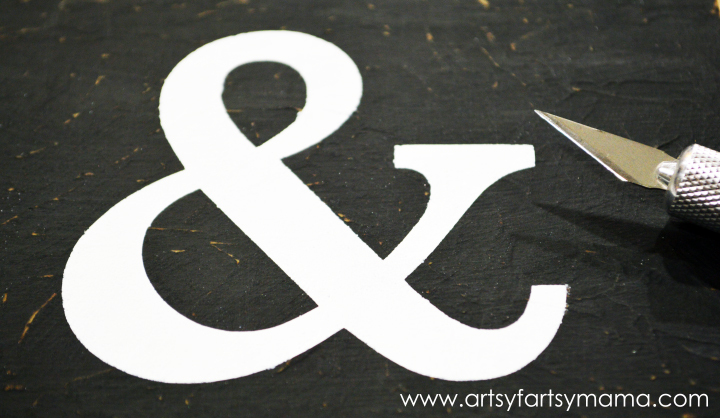 I weeded out the letters and ampersand and cut a rectangle around the words to create a stencil. Find the centers of both the board rectangles and the stencils to make sure you place the vinyl in the right spot. When adhering the vinyl, be sure to press hard (especially around the edges) so that the stencil won't move, and so you won't get any paint bleeding under the edges. With a spouncer, add a light coat of Snow (Titanium) White Americana paint. Press the spouncer into the paint, then dab off the excess before painting on the stencil. Be sure to dab vertically over the stencil instead of painting horizontally. This will minimize the amount of bleeds. I added about 4 coats to get complete paint coverage. Let the paint dry completely between coats. Peel off the stencils while the last coat of paint is still wet. If you happen to get any paint bleeds, don't stress about it! Get out an Xacto knife, and you can carefully scrape some of the small bleeds away. Don't scrape too hard, or you could take off some of the other black & brown layers of paint. You could also touch up with black paint if you have any larger bleeds. Get your sandpaper out and lightly sand over the words. This is also a great way to disguise any of your mistakes!! Own it and just call it "unique"! Spray the board with a clear spray paint to finish. Add a sawtooth hanger to the back to hang on your wall, or add it to a shelf!! 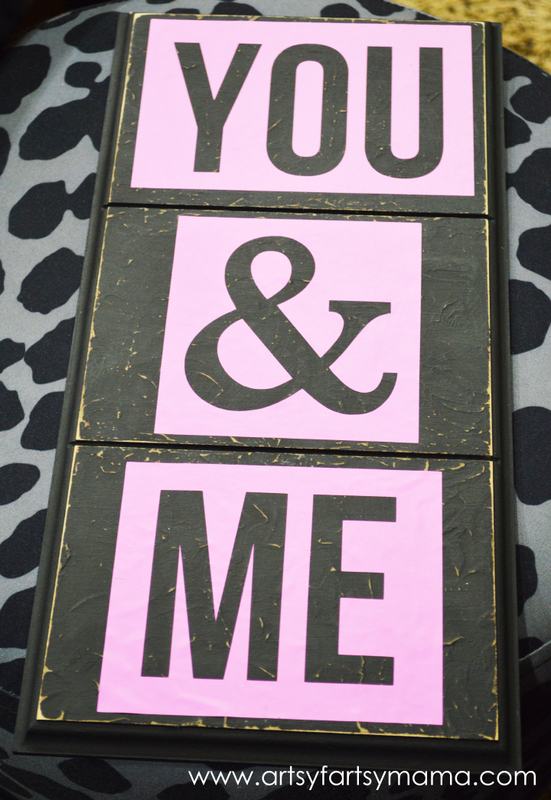 This sign would make a great gift (even for yourself) or a fun girl's night project! 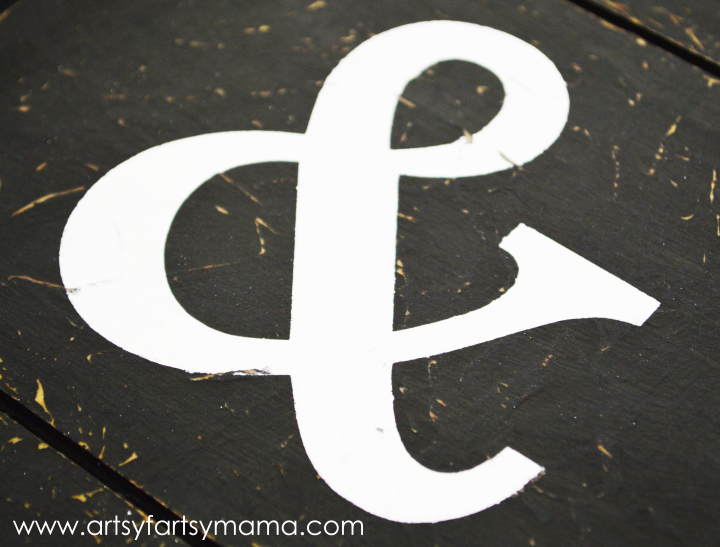 I received products from Poppy Seed Projects and DecoArt in exchange for this post. All opinions are my own. That really is darling! Thanks for the tutorial! This is a lovely sign! Great job! I like this a lot! Thanks for the step by step tutorial! Very nice. I always love a good wood craft project. LOVE this!! It's so gorgeous! Thanks so much for the great tutorial! Love love this! The texture cream is perfect with it! Pinning! That is really cute! Perfect for Valentine's day and beyond! Your sign looks great but TEXTURIZING CREAM? That is genius. I must get some. What a way to make your handmade projects looks so much more "pro"! Oh my goodness, I love this project so much! I've GOT to get me some of that texturizing cream! Wonderful project. Thanks for sharing.